Googler Kirill Grouchnikov likes to clue everyone into the subtle design tweaks in upcoming versions of the Play Store as they roll out, and today he's posted not once, not twice, but three times about a slick new hamburger animation. Is that overkill? I don't know... it's a pretty cool animation. So now when moving between browsing and detail pages, the hamburger icon will morph into the arrow button (above). This is an animation that has been used around the UI for a while, but it's obscured by the navigation drawer in most places. When the hamburger icon isn't showing because you've scrolled down, the back arrow will fade in (below). 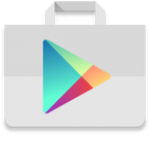 We haven't seen the new version of the Play Store in the wild yet, but there's probably more than just the one animation. You can be sure we'll get the APK up as soon as someone adds it to APK Mirror. We've got the APK ready for download. You know what to do.